Should Bruce Arena play Christian Pulisic in similar role with USMNT as at Borussia Dortmund? Should Bruce Arena play Christian Pulisic in a similar role with the USMNT as he does at Borussia Dortmund? Borussia Dortmund is far different than the USMNT. One of the biggest complaints US Soccer fans had about former manager Jurgen Klinsmann was that he was often playing players “out of position” or rather, not in the same position that they play for their clubs. Of course, Klinsmann is far from the only international manager who did that. Nearly every manager in the world needs to do it. 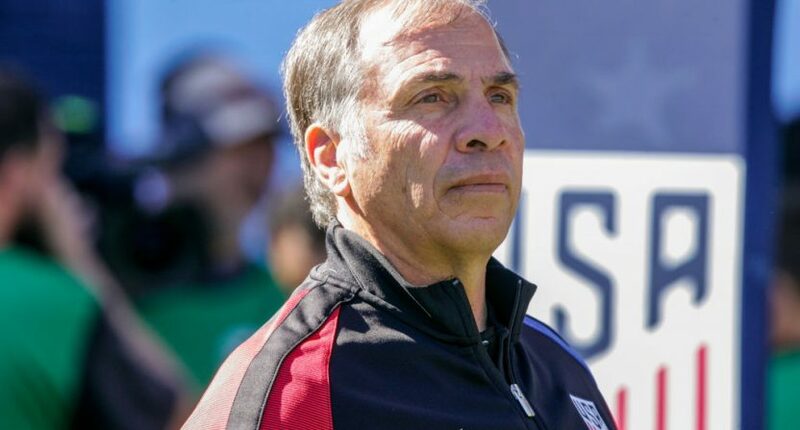 Hell, Bruce Arena used to and still does, in both his stints as USMNT manager. International managers don’t have the luxury that club managers do. They can only pick players from a very specific pool of players. They can’t just go out and sign a new player to fill a need on the team. Sometimes, the teams’ two best players both play the same position and one will need to be moved. Other times, the needs of your club are different from the needs of your country. USMNT fans are notoriously fickle when it comes to this subject. They’ve never had a problem with Fabian Johnson being moved all over the field, but when Klinsmann used Geoff Cameron as a right back in Guatemala last year, fans called for his firing. When the US went through the Hex leading up to the 2014 World Cup, Klinsmann used Cameron primarily as either a right back or a holding midfielder. During the 2013-14 season with Stoke, Cameron played all but one game as a right back. However, when the World Cup rolled around, Klinsmann played him at center back, despite not having regularly played there for his club in two seasons. At the time, it was simply where the US needed him. Three years later, fans are in an uproar if he plays anywhere but at center back. When Bruce Arena took over from Jurgen Klinsmann, the first thing he did was deploy teenage sensation Christian Pulisic in a No. 10 playmaking role for the US. This position is similar to his role at Borussia Dortmund, but for the US he was playing centrally whereas at Dortmund he played on the wing. Last month, for the US’s matches against Costa Rica and Honduras, Arena deployed Pulisic on the right wing. There were a few arguments made for why he did it, mainly that it would give him more room to run with the ball and that Pulisic would be comfortable there because it’s where he plays for his club. But that’s not exactly where Pulisic plays for his club. The thing is, playing right midfield in the US’s 4-4-2 is a drastically different position than playing on the right wing for Dortmund. There are a few reasons Pulisic plays on the right wing for his club. The first being that BVB has a lot of playmakers. At the club level, Pulisic is competing for playing time with Marco Reus (currently injured), Andriy Yarmolenko, Andre Schurrle, Mario Gotze (scored the GW goal in the 2014 World Cup), Gonzalo Castro, Shinji Kagawa, and Maximillian Phillip. The fact that Pulisic has managed to establish himself ahead of many of those players even when they are healthy is nothing to scoff at, but the bottom line that’s a lot of talent, many of which has more experience than Pulisic that can play down the middle. However, the main reason Pulisic doesn’t play centrally for his club is because their formation doesn’t call for a No. 10. Dortmund often switch between a 4-1-4-1 and a 4-3-3 with players like Mario Gotze, Gonzalo Castro, and Shinji Kagawa being called upon to play in more of a No. 8 role while Pulisic plays up front as an attacking winger. It’s a completely different, and far more attacking role than playing as right midfielder for the US. When Arena deployed Pulisic out wide last month, he made it very easy for Costa Rica and Honduras to take him out of the game. True, they deployed bush league tactics and fouled him whenever they could, but they also double- and triple-teamed him whenever they could. Using the touchline as their friend, Costa Rican and Honduran defenders were able to trap Pulisic along the touchline and essentially take Pulisic out of the game. At the club level, teams can’t do this to Pulisic because players like Gotze, Kagawa and Castro all possess the speed and ability to take advantage of the open space in the middle that players like Michael Bradley and Darlington Nagbe simply can’t. Add in Pierre-Emerick Aubameyang up front, a player far better than any US striker, and teams simply can’t afford to devote more man power to stopping Pulisic. While Bruce Arena did say that Pulisic was not pinned to the right side and had the freedom to move about the the field, that doesn’t exactly work in the US system. If Pulisic cuts inside, he would run into either Bradley, Nagbe, Jozy Altidore or Bobby Wood and create a log jam. If any of those players drifted outside to fill the space, they would be far less effective as playing out wide isn’t really part of their games. At Dortmund, it’s different. If Pulisic cuts inside, Kagawa, Gotze, Castro or even Aubameyang, who started his career as a winger, can fill in the space outside and remain effective. It’s a far more dynamic setup. The argument that people use to avoid playing Pulisic as the No. 10 is they don’t want to put too much pressure on him at such a young age. I got news for you: Pulisic is already the focal point of the US attack. In the two games last month, every time the US got the ball they only looked for Pulisic to the point that you wondered if they even knew Fabian Johnson was on the field (against Costa Rica). Pulisic has either scored or assisted on nine of the USMNTs last 11 goals in WCQ. On the two that he didn’t have a hand in, he won the free kicks that they were scored on. He not only should be deployed centrally, but he’s ready for it too.